Building on Hegel's account of Geist as a multiagent conception of mind and on Kant's transcendental psychology as a functional analysis of the conditions of possibility of mind, Negarestani provides a critique of both classical humanism and dominant trends in posthumanism. The assumptions of the former are exposed by way of a critique of the transcendental structure of experience as a tissue of subjective or psychological dogmas; the claims of the latter regarding the ubiquity of mind or the inevitable advent of an unconstrained superintelligence are challenged as no more than ideological fixations which do not stand the test of systematic scrutiny. 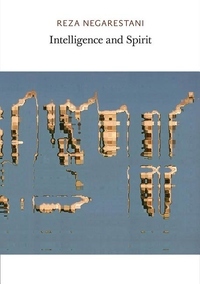 This remarkable fusion of continental philosophy in the form of a renewal of the speculative ambitions of German Idealism and analytic philosophy in the form of extended thought-experiments and a philosophy of artificial languages opens up new perspectives on the meaning of human intelligence and explores the real potential of posthuman intelligence and what it means for us to live in its prehistory.